Have you been caught up in recent conversation about the future of Family Tree Maker (FTM) software for genealogy? The surprise announcement from Ancestry in December 2015 that they would discontinue selling Family Tree Maker desktop software stunned many people and online discussion forums have been abuzz ever since. and perspective about technology change, the rise of Cloud computing, and the benefits (and drawbacks) that brings. What is the role of the rapidly growing online genealogy businesses? There are options and strategies we should consider as we move ahead, some very good ones! Not an FTM user so not affected? There will be much of interest for you, too, in this discussion! 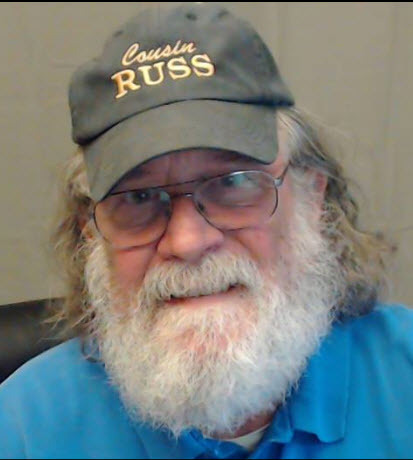 Russ, a genealogist, blogger, and popular FHIG presenter, is well known to FHIG audiences, and in the wider genealogy world. Worthington started ‘collecting his ancestors’ about 16 years ago and has since traveled from Maryland to Maine visiting cemeteries and archives, finding cousins and headstones, and taking photographs in search of family history information. He has become an enthusiastic user of Second Life, blogs regularly on genealogy topics and on the use of Family Tree Maker, a computer genealogy program, and relishes the opportunities to attend and present at genealogy conferences nationwide. Coffee and tea (and cookies or snacks if participants bring them!) is served at 6:30 pm and participants are invited to socialize. Our coffee and tea arrangements are $elf $upporting -- If you enjoy a cup please consider dropping a quarter or two in the basket provided. FHIG meetings are FREE and all are welcome, whether they have been previously involved in family history research or not. No prior experience in tracing genealogical roots is necessary. The Group provides opportunities for those interested in family history and genealogy to share information and experiences and be more successful in their search.